Then you’ll love this Moonshine Saloon bar which has popped up in Wild West London. 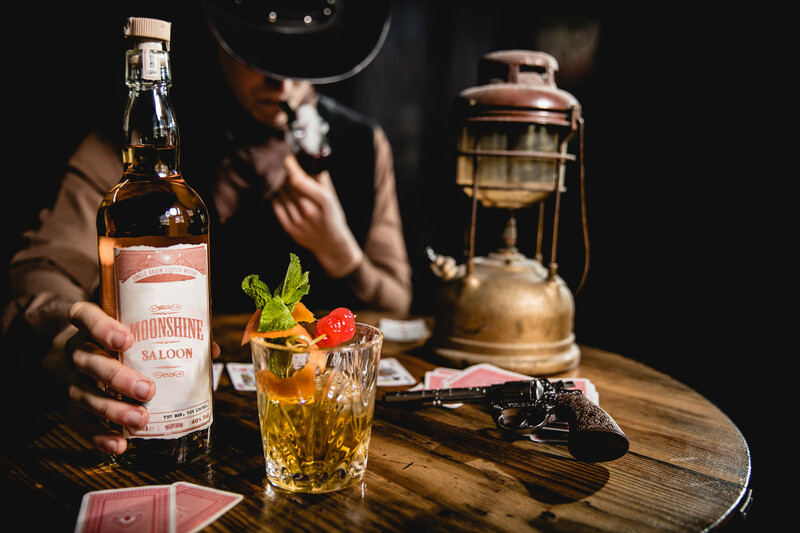 Inspired by the captivating tales of the Wild West and its undercover operations, Moonshine Saloon is truly a one-of-a-kind immersive cocktail bar. Stepping of the streets of West London into the doors of the Wild West saloon guests will become cowboys/cowgirls for the night. As not to attract the wrong attention in the Wild West saloon a local tailor will ensure you look the part with your very own Stetson Hat and more! So take along some fogmatic (drink) where a bar dog (mixologist) will mix you up a Moonshine cocktail. Be part of a boodle (group) when inside and try your luck at some card and dice games and exchange tales of the West with your fellow buds. So yea-hah get booking into the Moonshine Saloon before it shoots out off London. Thanks to Moonshine Saloon for letting some members of the community of Love Pop Ups London swing on down to the Wild West Moonshine Saloon for the night. Read our blogs / reviews from the comments section below.